Falkirk born clarinettist, Ryan Penman will perform a lunchtime concert at the Trinity Church (the Faw Kirk) and supported by and promoted by Classic Music Live! Falkirk on the 7th of March 2014. Ryan has gained a reputation within Falkirk's music scene as he has a been a member of various orchestras and is a former Senior Young Musician awarded by the Forth Valley Music Festival. 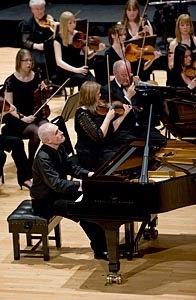 Penman's 45 minute programme will contain works by Weber, Debussy and Horovitz, his accompanist will be Scott Mitchell who is one of Scotland's most experienced accompanists. Tickets priced £5(students £2) are available from the Steeple Box Office (506850) or at the door. This concert is part of the regular series of music events included in Music in the Faw Kirk. All are welcome to attend these sessions. Another great review of Wooer With Words.